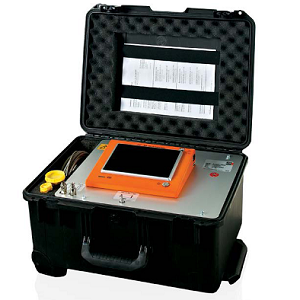 The DILO 3-038R-R303 Zero-Emission SF6 Gas Analyzer is a very accurate, battery operated, compact, user and maintenance-friendly device. It allows users to determine whether SF6 contaminant levels exceed the value established by equipment manufacturers and/or national standards organizations. (L 16 x W 21 x H 10.5)in.